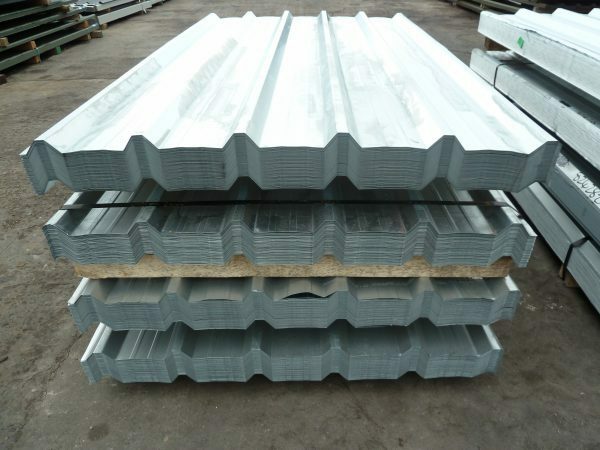 Packs of Box Profile 32/1000 Galvanised Steel Roofing Sheets with various colours and finishes including plain galvanised steel (uncoated), various greys and green primer, plus others (the pack will be mixed colours but all the same profile). Please note these sheets are old stock and some are watermarked. 0.5mm Gauge. 1m cover when lapped and fitted. Very Cheap at just £1.20 per foot + VAT.